I'm writing to all you mother's out there to let you know that you are amazing. We as mother's stress ourselves out over everything and as a result many of us have serious mum guilt, I know I do. We feel bad if we work and we feel bad if we don't. Sometimes they kids become too much and we shout at them and then cry and feel guilty for making them feel sad. Some days we simply don't have time to make them the healthiest meal so chicken nuggets will do. We run around after everyone with barely a minute to ourselves, but we wouldn't change it because their cuddles make it worth the while. We swap boozy nights out for a night in with a bottle of wine and catch up TV, peppa is off now they are sleeping. If they need new clothes we make ours last that little bit longer, holes in clothes is fashionable now. So mums take a seat and put your feet up drink that wine and have an early night. Don't forget to say that big Thanks to your mum after all she felt the same as you at some point. 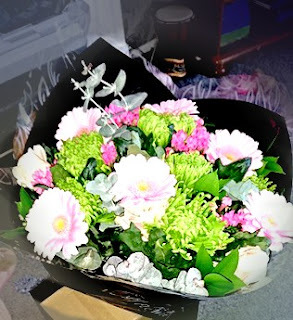 I always like to give my mum flowers like these ones from Prestige Flowers. It's not something she get's very often and they always make her smile. These beautiful flowers are delivered fresh they look and smell amazing. 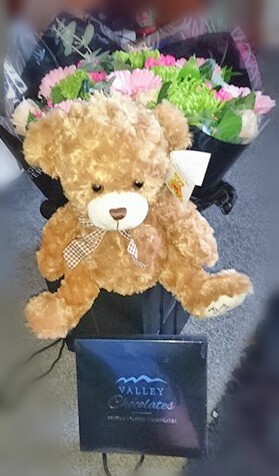 When looking to find that perfect bunch you will see that some come with little extra's such as a box of chocolates or a teddy bear. Prestige Flowers has something to suit everyone and every budget. Say Thanks Mum with some beautiful flowers this year.